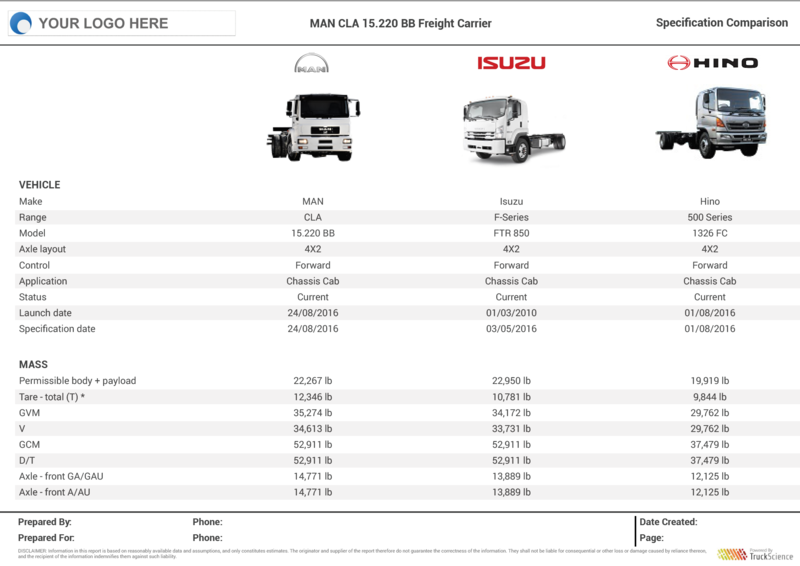 So you'd like to compare vehicle specifications? 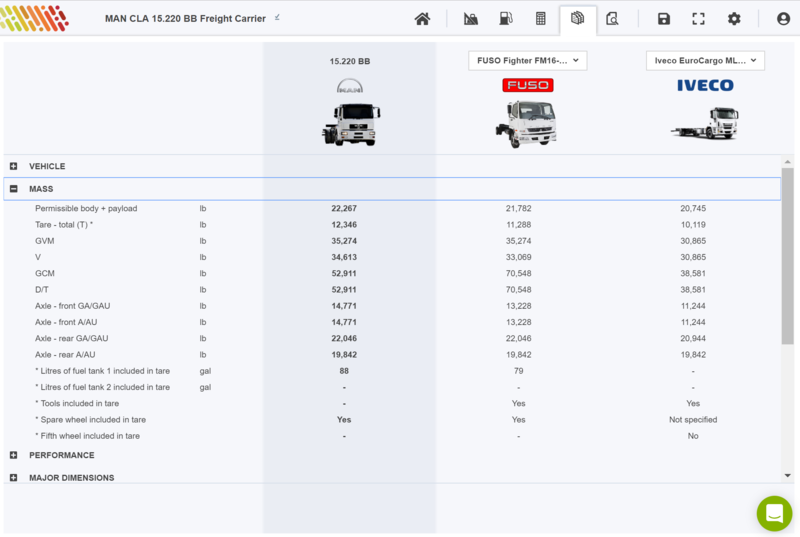 Show how your vehicle stacks up against other vehicles your customer might consider. Drill down on key vehicle features which affect payload capacity, performance, driver comfort and safety. Compare your vehicle spec to competitor vehicles or other vehicles in your range. Your customer may be weighing your vehicle up against a competitor vehicle, and have identified an area where the competitor vehicle has an advantage. Respond with advantages of your vehicle, allowing the deal to move forward. Identify particular advantages of your vehicles over competitor vehicles. Define those advantages for each vehicle, and have them available to your salespeople at the click of a button. Print a professional report of your analysis. Our developers will work with you to customise TruckScience to fit your needs, including intergrating our software with your existing systems. Call us to arrange to speak with a truck sales software specialist who will answer any questions you might have.